You are probably thinking this is going to be a list of all my favorites...but it is not. All My Faves is actually a "search" engine of the websites that appear to be the favorites for a given week or topic. While visiting one of the feeder middle schools as part of my job, the math teacher introduced me to the website All My Faves. It is a search engine of the most favorite links and/or the most popular links. What I like most about it is that you can see the most favorite by category...and then by subject, or sub-category. When you hover your mouse over the favorite you want to visit, it gives you the title of the website as well as a brief description. Topics can also be separated by country (Brazil, India, Australia, Unites States, United Kingdom, and Canada) as well. The categories that you can view are Blogs, Education, Entertainment, Games, Kids, Shopping, Travel, and then Weekly Faves. 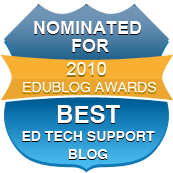 Education is the one that I will focus on for the purpose of this Blog Post. Under the education tab you will find websites separated by Subject matter, and then board topics such as Home school, Libraries, Technology, Writing Skills, etc. A neat way to find out what is popular in education on the web. Below is a screenshot of the webpage. The Weekly Faves is also another section worth examining for the purpose of seeing what are the most popular websites for the week. It also has 2009 Favorites and provides an archive for each week as well as 2007-2009, which could make for an interesting history assignment. 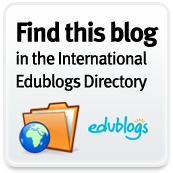 Blogs is also worth looking at for finding blogs about specific topics you might be interested in outside of education. Hope you find something you like here.